The latest Microsoft Surface Pro is among the best tablet PCs ever made. Some might say it is the best tablet, full stop. But its price, at £800/$1200 for even the lowest model, puts it out of reach for many people, particularly as a proper laptop is often a more attractive and practical proposition. 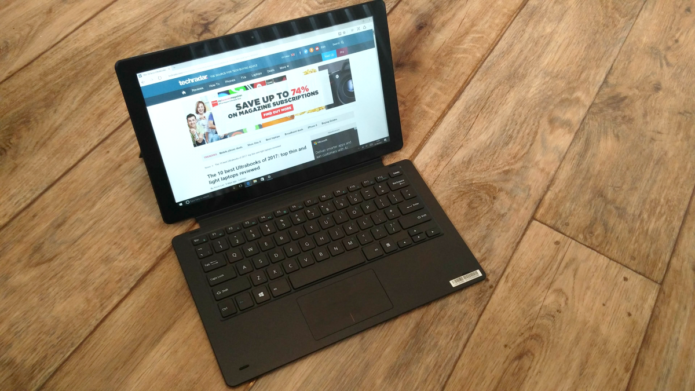 The Surface has, therefore, attracted its fair share of cut-price competitors – Asus’ Transformer Mini range, for example, does brilliant things on a budget, and there are Chinese Surface clones like the Chuwi Hi13 that, while trickier to obtain, deserve attention for their achievements. It would be easy to slot the Linx 12X64 into that same cheap Surface tablet bracket. Easy and, pretty much, correct: despite its limitations – and there are plenty, which we’ll certainly get to – the 12X is outwardly well appointed.